Ansaldo STS | Network Directory : Hitachi in the U.S.A.
Ansaldo STS specializes in the design and manufacture of advanced systems that facilitate the automation of metro networks and railway lines. With a strong focus on becoming world leader in the industry, Ansaldo STS manufactures products that are not just advanced and reliable but also eco-friendly. 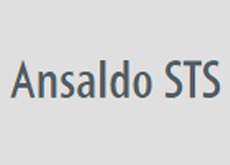 Over the years Ansaldo STS has earned a strong reputation as a leader in executing large global projects for passenger and freight railways and metro lines. We believe in improving the lives of people, and to make it happen we contribute cutting-edge systems and components for railway and metro signaling.